…is not top-of-mind for most who come here. 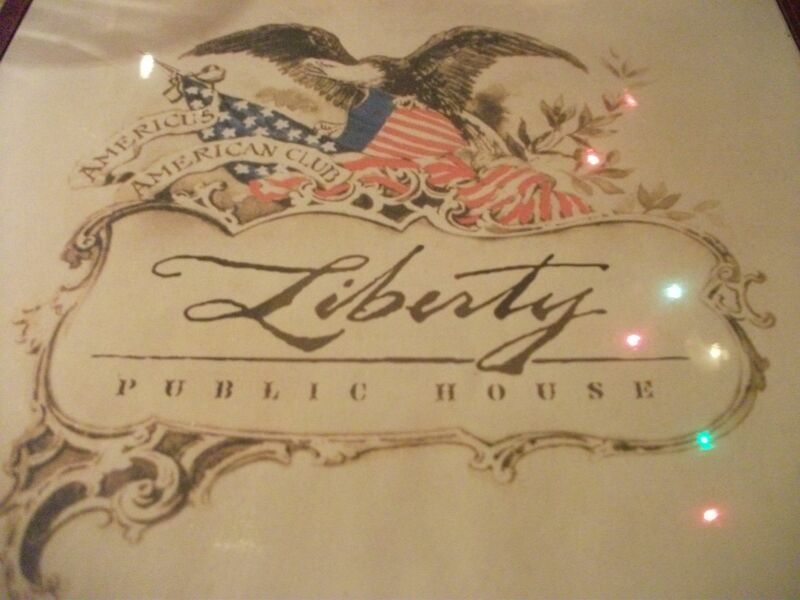 At the newish Liberty Public House in Rhinebeck, the red, white and blue-themed décor is eye-catching and fun. And, on a menu that salutes Americana favorites, the “Liberty Burger with Freedom Fries” gets a whole lot of love. 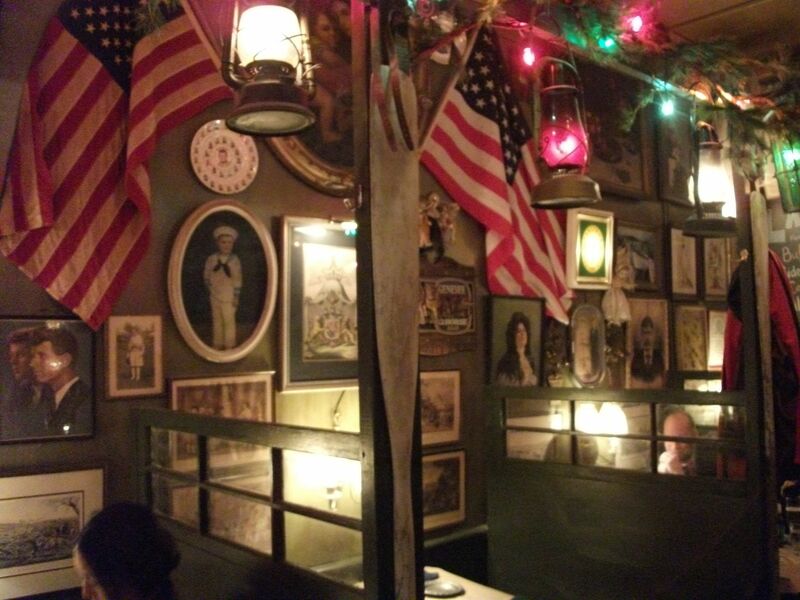 As I recount in my RHO review−http://bit.ly/LibertyRvw−the burger, itself, is tasty enough. The beef patty, sandwiched along with melted Manchego cheese, lettuce and sliced pickle in a soft, squishy, sesame-seeded, white bun, with a side of ketchup is eerily reminiscent of a Big Mac−albeit with real meat. There are other such retro-themed reincarnations, including Buffalo rock shrimp with blue cheese dip, bacon-wrapped dates stuffed with blue cheese, and fettucini Alfredo—comfort food that ventures into precariously high sodium territory. As it did with the much touted “Freedom fries”, which Christopher and I found greasy and overly salty. Liberty’s Stuffed Yellow Bell Pepper YES!! … an Old World-style veg loaf that would have made pioneer vegetarians, like Molly Katzen, author of “The Moosewood Cookbook” series, proud. It was hearty, filling and comforting. When I ordered the stuffed pepper, I requested “no added salt”. What the server set down before me looked like meat loaf. A whole roasted yellow pepper had been split. 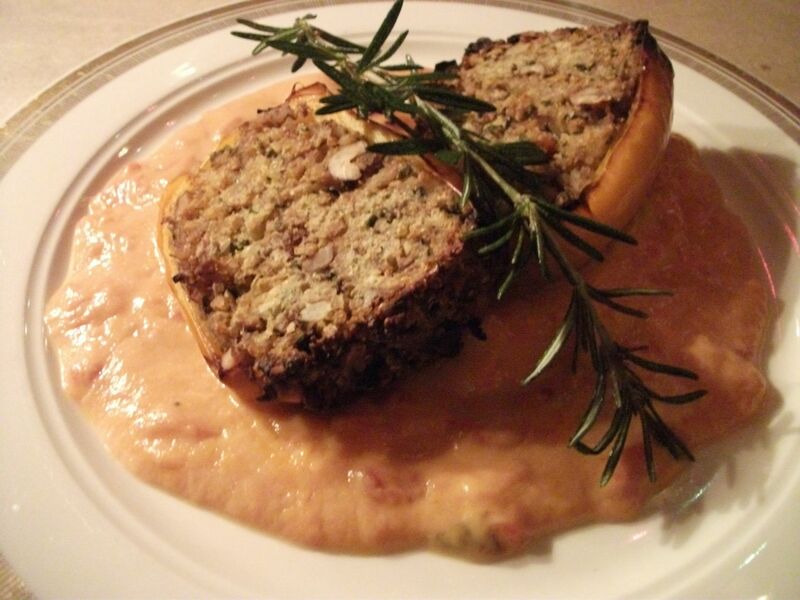 Each large half, generously stuffed with toasted quinoa, walnuts and herbs, rested in a pool of creamy tomato-cauliflower puree. The combination of nutty crunch and warm, soothing puree left me feeling sated and satisfied. If you’re a vegetarian or vegan, this is the dish for you. 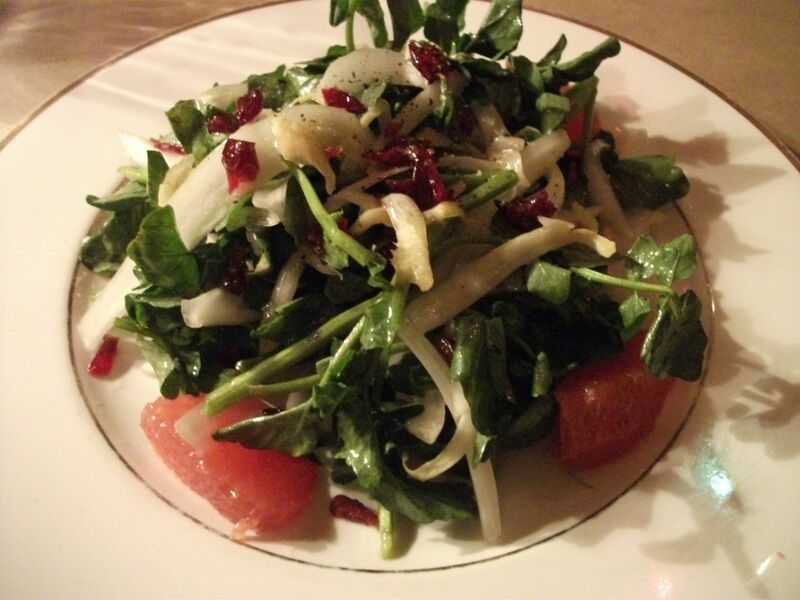 Lovers of leafy greens, take note: the endive and watercress salad with fennel, pomegranate seeds and ruby red grapefruit is winsome: bright, zesty with delicate crunch and zing.